If you've been following along from the beginning on Trash to Couture then you know I like to use zippers. From practical closures to design details, they're an easy way to edge up old clothing. My go to for zippers has always been Coat's. They have every type you can imagine from practical to fashion-forward. 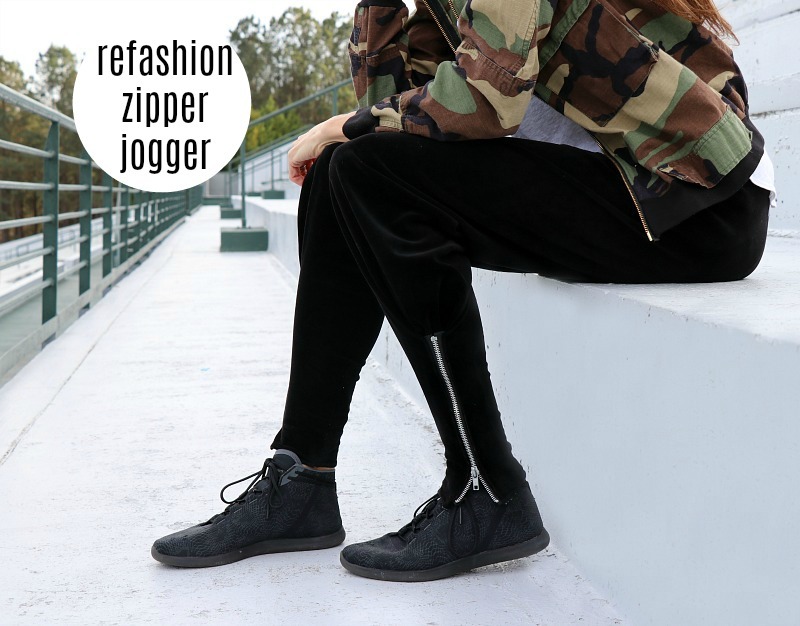 For this project I updated some flared sweatpants into edgy joggers with Coat's Fashion Brass Closed End Zipper. 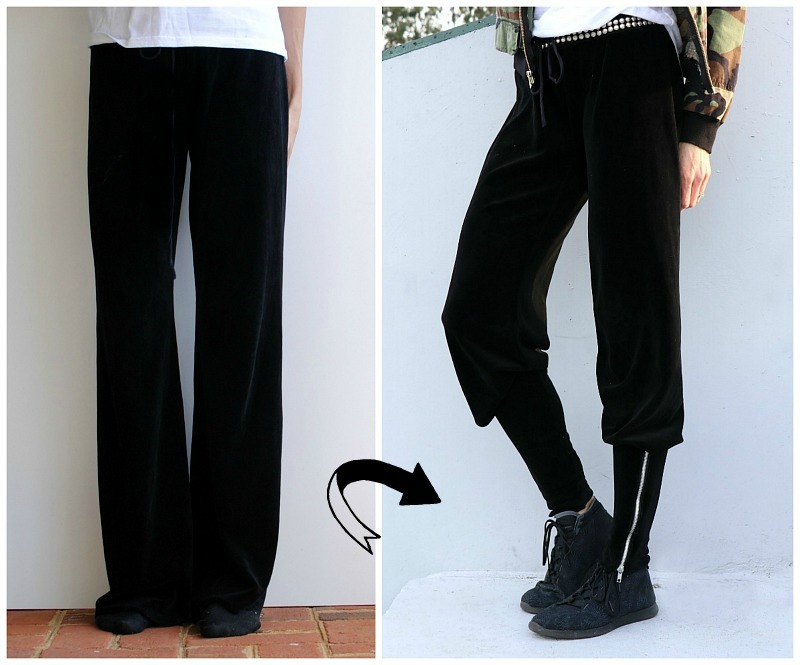 Get the details below and make your own Zipper Joggers. 2 x Fashion Brass Closed End Zipper 9"
I chose to do this on the outer side which didn't have a seam but you can really do this anywhere (front, back, inner seam, etc.). It's also best to use pants that are really wide at the bottom otherwise you will have to cut one of the sides to sew the zipper in. Place your pants the side up you want the zipper. Mine is the outer side so the inner seam is directly underneath. Place your zipper in the center. Fold the side edge over (both layers) to meet the tape width just next to the zipper teeth and pin through the tape width and the top layer (don't pin through the back layer). You will only pin the one side for now. 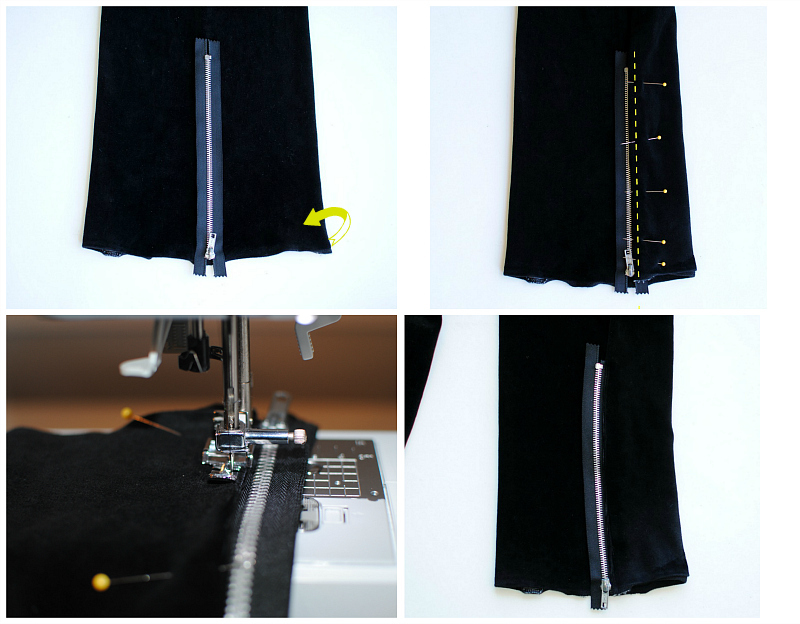 Top stitch into place using your zipper foot. 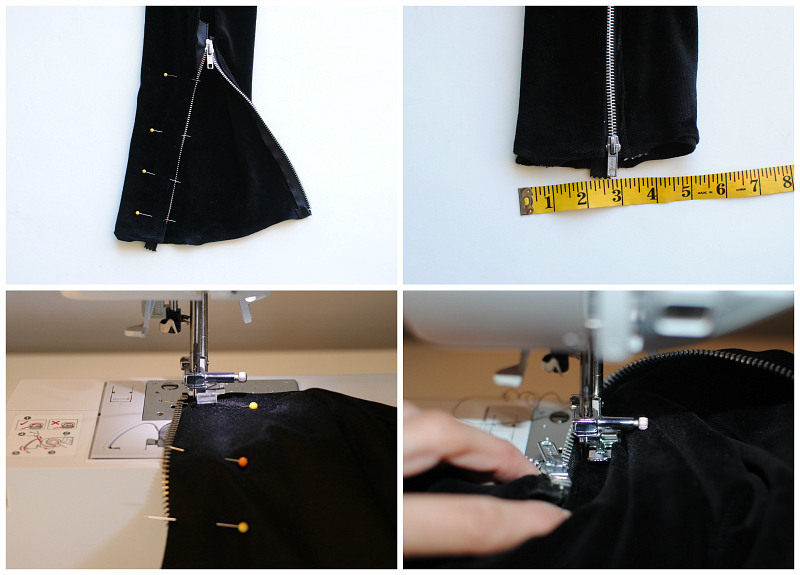 Tip: keep the measurement between the zipper teeth and the fabric even by slowing down your sewing and pinning. Once you get to the top, make sure to fold the bottom tape end to the bottom stop and sew into place. 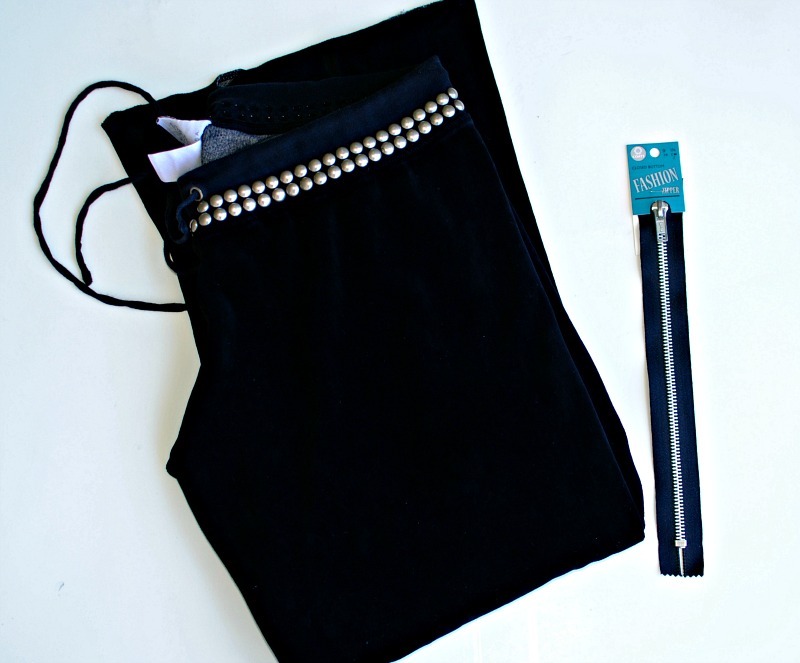 You can also just topstitch the zipper directly onto the pants. Fold over the other side to meet the other side of the zipper and pin. Opening the zipper up will be necessary for sewing this side up. Before sewing, measure the ankle and make sure it will be enough to fit your measurements. Again, using your zipper foot, sew the remaining zipper into place. You will need it open to sew this side up fully up. Once you get to the top it can be tricky to not sew through any layers so make sure to move the bottom layers out of the way. Also make sure to sew the bottom tape end down as well. If you haven't yet, sew the top tape ends down. The military bomber jacket was another Coat's zipper refashion here. If you wan t to build successful career, I advise you to read this information. It will definitely help you with writing your resume. Such a neat idea. I can make this using my embroidery machine!